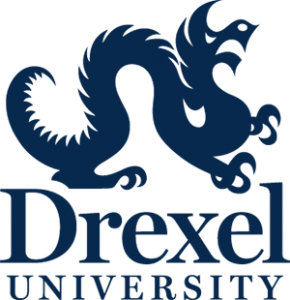 Our openHTML group at Drexel University in Philadelphia, PA researches how people learn about computation through the web, and ways we can design tools to support these learning experiences. Snowball is our latest project for giving people a way to express themselves using the web as a medium. What is Snowball and how does it help advance the Open Web? Snowball is a WordPress plugin that makes it possible for anyone to create modern, immersive, interactive articles to tell their stories on the web. Our goal is to make it possible for everyone including bloggers, students, and journalists to create engaging articles like the ones produced by world-class news organizations. We provide a graphical interface where you can start building the content of your article block by block. Within each block, you can tinker with the widgets to add your own content and style. Each block also has a coding interface so you can inspect the underlying HTML and CSS, and add a dash of your own to customize even further. We provide blocks ranging from third-party media embeds to interactive visualizations. What are the benefits of including jQuery as a dependency in Snowball? jQuery ensures that we can provide a uniform experience across a broad range of devices and platforms, freeing our time to spend on what makes our project unique. How do jQuery projects help Snowball and its users achieve your and their goals? 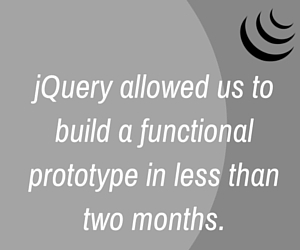 jQuery has accelerated the pace of our development, allowing us to build a functional prototype in less than two months. In turn, this has allowed us to start getting feedback, and iterating on our design, sooner rather than later. What’s coming next in Snowball? We’re partnering with The Triangle, Drexel University’s student-run newspaper, to pilot Snowball for long-form articles. This will teach us a great deal about how journalists work the web and how we can make our tool more useful for them. We’re also in the process of getting Snowball listed on WordPress.org’s plugin directory so that it’s available to everyone. If any news organization or educators are interested in trying Snowball, we’d love to partner with you. We’re also open source and on GitHub. If you know HTML, CSS, and jQuery, you know enough to contribute new block types in Snowball! Are you involved with an amazing site or app that uses a jQuery Foundation project or projects? Check out the Web Excellence Program categories and submit yours today! Entries in all categories are heartily welcomed, and we’d love to hear how individual developers all the way to Enterprises use jQuery Foundation projects to achieve their business and technology goals. When will snowball replace the current antiquated WordPress WYSIWYG editor? Snowball is a refreshing take on the future of WYSIWYG. Any thought into integrating Schema.org data as well?